Wildwood is proud to introduce our newest addition to the park, Rodni the baby badger. Rodni, who got her name after being found abandoned in Rodmersham, nr Sittingbourne, was brought to Wildwood by the East Kent Badger Group in April. Before being officially re-homed at Wildwood, Rodni underwent a series of medical checks to confirm that she was healthy enough to join Wildwood's existing clan. During this time Rodni lived with Wildwood keeper Karen Price who enjoyed looking after her at her home. "Rodni is quite boisterous as you would expect from a young badger, unfortunately after being abandoned she doesn't have the skills to go back to the wild so we have been getting her used to being around people." Now that Rodni is at Wildwood she is currently living part-time in the badger enclosure until she is used to the environment and is able to hold her own with the other adult badgers. Karen said "As Rodni is a lot smaller than our other badgers we need to be sure that she will be able to look after herself so we are introducing her slowly to the enclosure and the other badgers. Once she is a little larger and at home with the clan then she will live with them full time." Badgers are just one of the huge range of British animals that can be seen at Wildwood; the ideal day out for all the family where you can come 'nose to nose' with British Wildlife. A visit to Wildwood is a truly inspirational way to learn about the natural history of Britain by actually seeing the wildlife that once lived here, like the wolf, beaver, red squirrel, lynx, wild boar and many more. For more information visit the website at www.wildwoodtrust.org or telephone 0871 7820087. Wildwood Trust's vision is to bring back our true 'wildwood', a unique new way of restoring Britain's land to its natural state. This involves releasing large wild herbivores and developing conservation grazing systems to restore natural ecological processes to help Britain team with wildlife again. The Wildwood 'Woodland Discovery Park' is an ideal day out for all the family where you can come 'nose to nose' with British Wildlife. Wildwood offers its members and visitors a truly inspirational way to learn about the natural history of Britain by actually seeing the wildlife that once lived here. Set in a sublime 38 acres of Ancient Woodland, Wildwood offers visitors a truly unique experience. 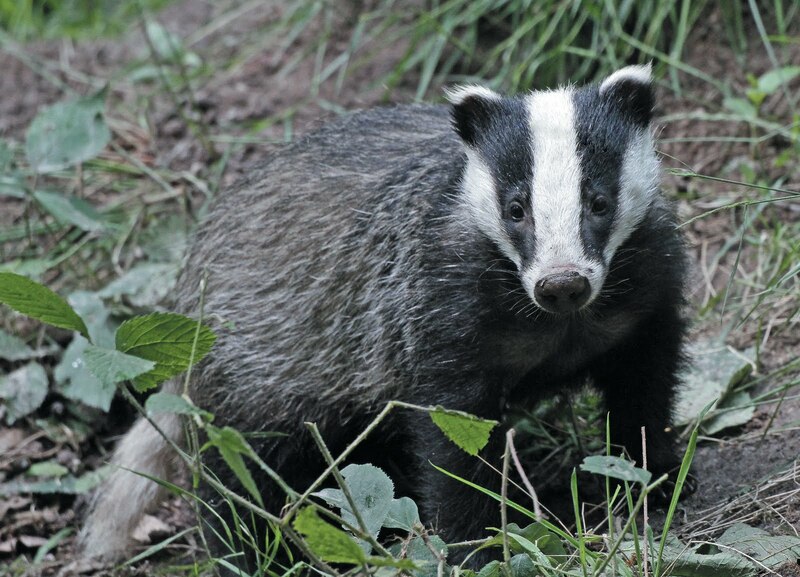 Come Nose to Nose with our secretive badgers, experience what it is like to be hunted by a real live pack of wolves, watch a charging wild boar or track down a beaver in his lodge. Peter Smith, Chief Executive of the popular Wildwood Wildlife Park near Canterbury will give a speech to Canterbury City Council's, Joint Transportation Board at the Guild Hall 7.00pn Tuesday 21st June. Peter is calling on the speed limit on the A291 between Sturry and Canterbury to be lowered to 40 miles per hour. Peter said "The A291, Herne Bay to Canterbury road, outside of Wildwood, needs a lower speed limit. The stretch of road in question is an accident blackspot which has claimed lives and caused injury to many local residents, most recently a motorcyclist who sadly died on the road in March of this year. Its long curves encourage drivers to drive too fast and visitors who come to Wildwood by bus find the crossing the road stressful due to speeding cars giving them little or no time to cross. " Wildwood Trust's growing popularity our promotion of public transport as part of our commitment to reducing our environmental impact means that many thousands of visitors take the bus and this number is increasing. Wildood offers half price admission to bus users and free entry to selected community groups who visit us by public transport. We feel that by offering customers an incentive to travel by public transport we are helping families to do their bit for the environment by leaving the car at home for the day. Peter is supporting Wildwood's local councillor, Tony Austin, who is proposing this measure. While no Wildwood visitors have been hurt on the road, we would like to see the stretch outside Wildwood made as safe as possible for visitors both to Wildwood and the Wealdon Forest business park. Wildwood is an ideal day out for all the family where you can come 'nose to nose' with British Wildlife. Wildwood offers its members and visitors a truly inspirational way to learn about the natural history of Britain by actually seeing the wildlife that once lived here. Wildwood news - The saxons are coming! Get ready for some serious Saxon versus Viking fun…. Regia Anglorum, one of Britain's best Saxon re-enactment groups will be at Wildwood on the 11th and 12th of June for their annual Saxon re-enactment weekend. Wychurst - literally meaning "the village in the wood" - is a Saxon Manorial Burgh, reconstructed by Regia Anglorum according to the best available evidence. The group have spared no trouble or expense to ensure that the site and its environs are as close to the original as possible. The Burgh features a spectacular 220ft Longhall along with other buildings and is exactly the kind of place to which local people would have retreated when the Vikings sacked the city of Canterbury over a thousand years ago. The site will be open to visitors from on 11th & 12Th June from 10.30am to 4.30pm. During the day, there will be a range of crafts on display both inside the Longhall and in the various artisan's tents inside and outside of the Burgh. You will be able to see warriors at training during the morning before the big event at 3pm when the Vikings will raid the Burgh! The Viking raid is a competitive open ended battle and either side might win! Entry to Whychurst will be £3.00 for 15yrs and over, £1.50 for 12-15yrs and free for under 12's. Please note that Wildwood entry fees or membership must also be paid to be allowed access to the event.